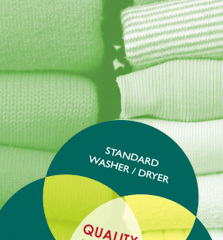 And safety is a basic quality of all consumer goods. 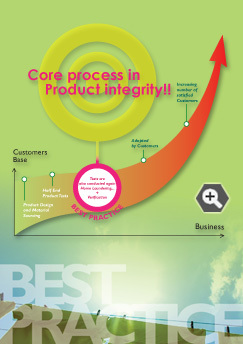 So, it is one of "Best Practice" to adopt home laundering as the core process in product integrity & testing. Verification is also a "Best Practice" and can be used throughout QA process to ensure consistent & reliable test results. 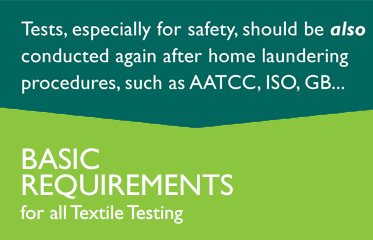 For the benefit of customers, safety tests, according to CPSIA, CPSC, EN71 and ASTM F963.... should be also conducted after home laundering procedures -- a very basic end-use environment as a core of product integrity process. Mechanical safety tests are especially important ! Unlike chemical tests…, poor product mechanical safety is mainly caused by bad workmanship & product design. Therefore, product mechanical safety should be well tested throughout the process from product design to its end-use conditions.